Who doesn’t like an app that helps them save money? Key Ring does that. 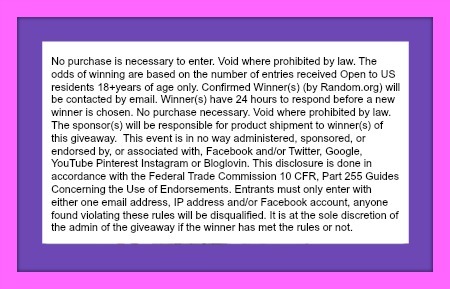 Enter to win a $50 iTunes or Google Play!!! Sponsored by Key Ring and Hosted by Mom Does Reviews and her fabulous Blogger friends! No more forgetting your reward cards at home or holding up the checkout line while you dig through your wallet. Give you key chain, wallet, or purse a rest and digitally store those loyalty cards. 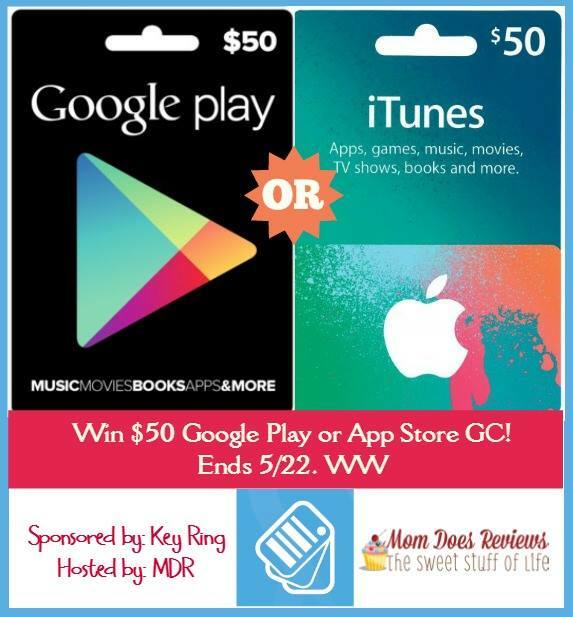 One lucky reader will win a $50 Google Play or App Store Gift Code! Great way to organize and lighten the load on my key ring! It looks like it would be a nice app to have. I am always misplacing mine or losing them. I would definitely keep this app in mind if I get a smart phone/device in the future. I’m afraid I’d spend more time trying to access a rewards card on my phone then producing a key ring reward card. It’s not for me. this is awesome – I can see this being a big help. I try to always get the best deals wherever I go, but I don’t always plan ahead. this looks like it can not only help keep my loyalty card info in order but also help me find specials while I’m already out! Oh, this would be great! It would really lighten my keys. I’ve been using keyringapp for a while now and I absolutely love it. The best thing about it, besides its spectacular functionality, is its super sleek design. Everything feels perfect. Their GUI designers are top notch. One of my absolute must have apps. Thank you very much for the chance! I don’t have a device to download it to. Would be handy if I had. I love not having to carry cards.. genius app! I’ve heard of this before but never really used it. I suppose I’m so used to just telling everyone my phone number to look up cards that I never thought about it. LOL I don’t carry any of my cards (except my Fuel Saver one since I can’t use the Fuel Saver without the card). This could be useful so I don’t have to clutter up my already too tiny wallet and I don’t have to remember what phone number I used on the card. I never heard of this app before, but they sure have a lot of users. Sounds great! Yay! No more ugly cards on my key ring! I already have the Key Ring app. I love it because it allowed me to get rid of the mess of loyalty cards I had in my wallet. It’s very easy and convenient to use. I definitely could use this – I can never find my Vons card when I’m at Vons! It’s pretty neat! It will help me keep track of things better. It was okay. I’ll have to try it more before I can really judge it. I’ve never heard of this app until now, and what surprises me most is that they have over 10 million users! I like you you can keep track of your loyalty cards but also see the stores weekly ads and make a shopping list which i love. This would be great for me. I like that it makes it easy to download coupons onto your cards also. It would be great to not carry all those store loyalty cards around! It sounds like a great idea. My wallet is very thick from cards and other things, this app is going to work out great! I do not have an iphone but my daughter does. I will tell her about this download. I downloaded it. It looks perfect for me. I keep all my rewards cards on a binder ring, but the ring opens and my cards end up in the bottom of my purse. This app is a much better idea!